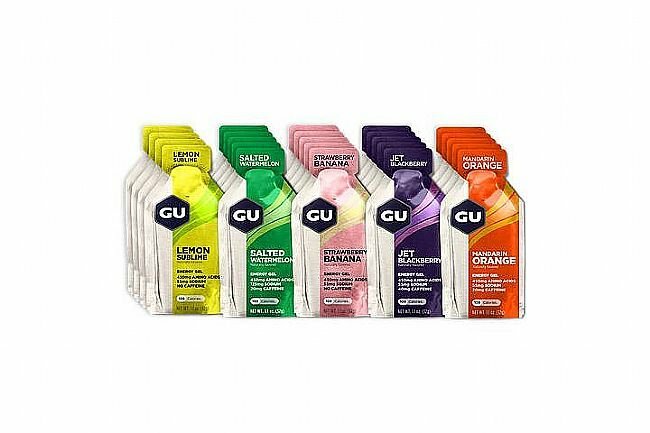 GU’s Energy Gels (Mixed Box of 24) are loaded with energy-dense calories; 100-calories per packet. Maltodextrin and fructose carbohydrates maximize absorption without causing GI stress. Electrolytes maintain fluid balance and aid in hydration. Branched-chain amino acids -- leucine, valine, and isoleucine -- help counteract mental fatigue and mitigate muscle damage. The majority of flavors have caffeine for increased focus and reduced perception of effort, helping athletes concentrate and push harder through intense efforts. 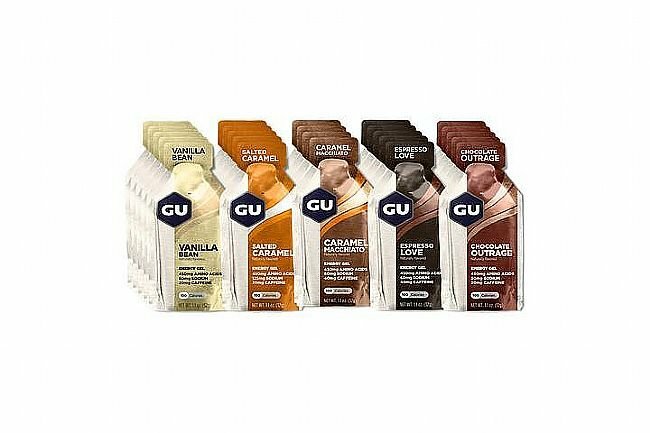 GU’s Energy Gel is vegan, gluten free, and kosher, EXCLUDING Peanut Butter and Chocolate Peanut Butter (not kosher). You can rely on GU Energy Gels. GU gels have long been my favorite. The flavor is always spot on to the name, they dont separate during storage like some other gels and the packaging doesnt take up as much space your jersey pocket as some other gels. All wins in my book!